Referring to Brussels' decision this week to cancel a meeting with Ukrainian President Viktor Yanukovych on a trade and association treaty, he said it is normal practice for the union to host leaders with whom it has tricky relations. "Maybe you [the EU] are not ready to conclude such an ambitious agreement with Ukraine. Of course, if you ask EU officials, they say the climate is not conducive [for negotiations]. If you use the same criterion of conducive climate, under this pretext you could cancel about 80 percent of EU talks," he told EUobserver on Thursday (20 October). "Some sceptical member states would like to hear from us: 'You don't like us. So we are going into the Customs Union [with Russia].' But this is not the case. I re-iterate - this is not the case." 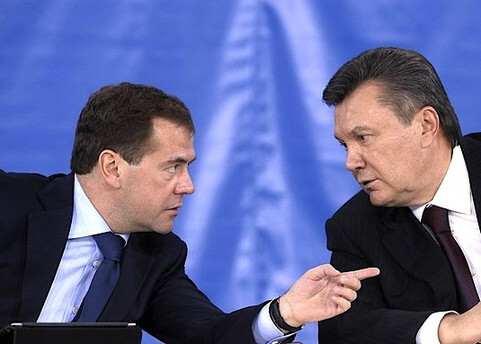 The EU snub came on the eve of Yanukovych's meeting with Russian President Dmitry Medvedev in Ukraine. 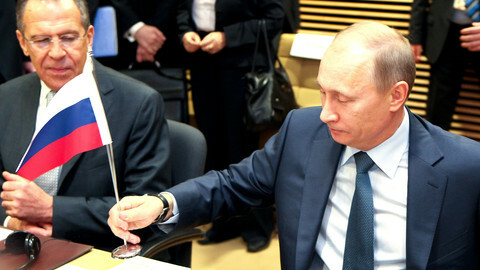 Following the Medvedev talks, Ukraine said it will study the feasibility of joining the Customs Union. Yanukovych also said he will not initial the EU agreement unless it includes a promise of future membership - an ultimatum that could wreck talks because the EU has said all along this is not an option. 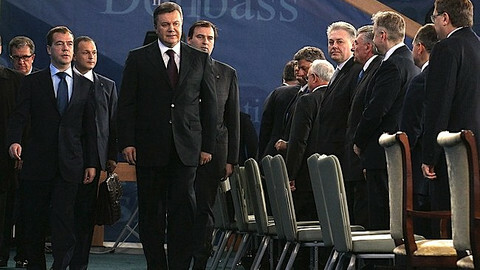 Yeliseyev indicated that Yanukovych had been ready to finalise the pact on softer terms before the snub. "We considered this [the cancelled meeting] as an opportunity to consider all outstanding issues, even to bless the agreement. But you decided to postpone it. This is your sovereign decision and you must accept the consequences," he said. "It could have been a historic date. But instead it might be remembered as a day of lost opportunities." 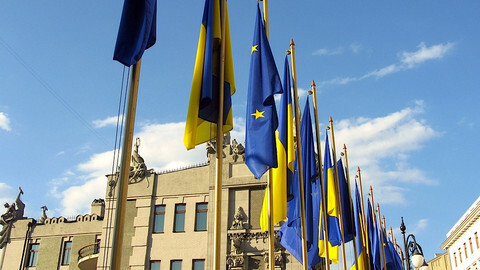 EU-Ukraine talks are continuing on a lower level despite the fiasco. 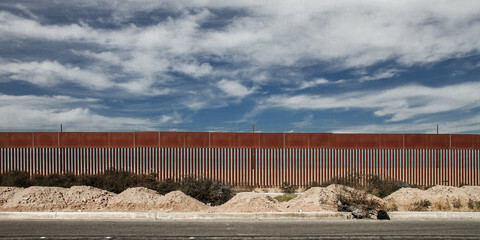 The two sides on Wednesday reached agreement on the trade part of the treaty. Senior EU diplomat Miroslav Lajcak will on 25 October go to Kiev to discuss political chapters and an EU-Ukraine summit is still scheduled for December. 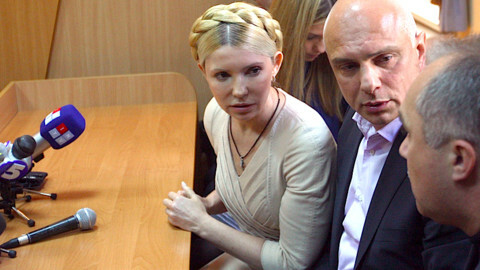 Meanwhile, the fate of Yanukovych rival and former prime minister Yulia Tymoshenko hangs in the air. MPs are considering a bill to decriminalise charges which saw her sentenced to seven years in prison. 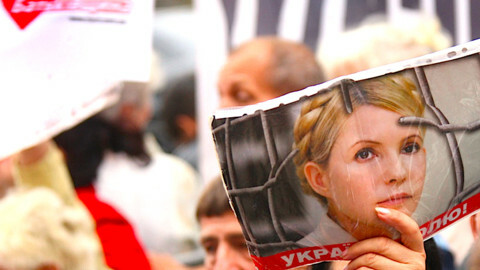 At the same time, Russia has told Ukraine to pay back $405 million allegedly owed by Tymoshenko in a second case that could put her away for 12 years. Yeliseyev did not name names but has in the past singled out France, Germany and the Netherlands as enemies of Ukraine integration. The diplomat said it is his job to remain "optimistic." "Regardless of the fact that some member states don't want to pursue further integration, our position remains unchanged ... Despite what you may want, we continue to aspire to one day become a fully fledged member of the European Union." 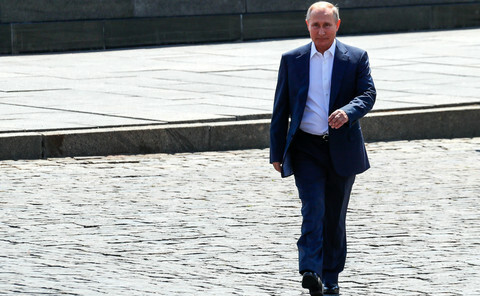 With EU-Ukraine integration talks on the rocks, Russian leader Vladimir Putin has unveiled a new plan to pull former Soviet countries into a "Eurasian Union" instead. Ukraine's celebrity general prosecutor has offered to investigate President Viktor Yanukovych for alleged corruption in a bid to improve his country's image in the EU. Ukrainian negotiators have said there is no need to initial an EU trade and association pact at a summit in December as previously planned.